The scout troops of Slaugham (but based in Handcross), Balcombe and Haywards Heath combined to produce a variety show “Pinch of Salt” which was performed, firstly, in Handcross and then in Balcombe, with its final performance in Haywards Heath. Handcross’s contribution to the production team was Gerald Cosens who directed the show. 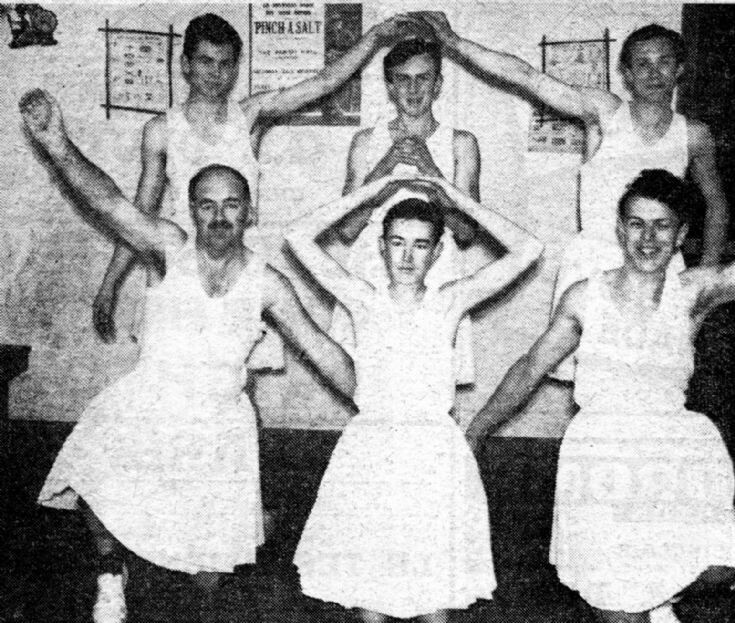 The photograph shows six of the nine members of the Handcross senior scouts Corps de Ballet. Front row: Cubmaster Gordon Nye, Rodney Pattison, Tom Chamberlain. More photographs can be viewed at picture #2406.